We help you to consult and hire the best Supreme Court & High Court Property Dispute lawyers in Doddakallasandra, Bangalore Urban. Use filters to narrow your search and find the best advocate in Doddakallasandra, Bangalore Urban, whether its a family dispute or divorce lawyer, property lawyer, employment or labor court lawyer, criminal lawyer, recovery or cheque bounce lawyer, taxation or corporate lawyer, or a lawyer expert in any other field of law. Need help to find the best Property Dispute lawyers in Doddakallasandra, Bangalore Urban? INTRODUCTION: Property dispute is a common occurrence in doddakallasandra, bangalore urban. Dispute pertaining to property often arise through claims by legal heirs, co-owners. There are many types of property dispute but one of the commonly found is an immovable property dispute. So if in case any fraud occurs, there should be clarity of title. Lawtendo being the best law firm in doddakallasandra, bangalore urban, we provide you with the best attorneys from all over the country to resolve your dispute and finalize your suit. We offer you a great assistance. Providing you with the best lawyers who have knowledge about the dispute related to property and partition. 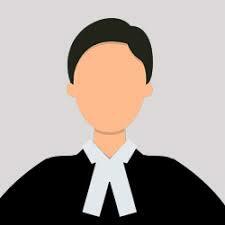 To get the case solved in less time contact Lawtendo now. We work in your interest.